But at the time, Mashaba said that the man – who was among four men arrested during a raid in Dobsonville two weeks ago – was only “believed” to be employed at the ANC’s Luthuli House headquarters. On June 19 The Times revealed that the Hawks, energised by Ramaphoria, had arrested Eric Velile Present, one of the rising stars at Loot-freely-and-fully-House. Present was alleged to be member of one of the gangs who star in the Anneliese Burgess book, Heist! South Africa’s cash-in-transit epidemic uncovered. That post came just seven months after a February 2017 article in the Sunday Times which linked him to a controversial farm deal in Limpopo. The Sunday Times reported that then Rural Development and Land Reform Minister Gugile Nkwinti introduced this Luthuli House comrade to one of his top officials at a land summit when Present was “shopping” for a thriving Limpopo farm. 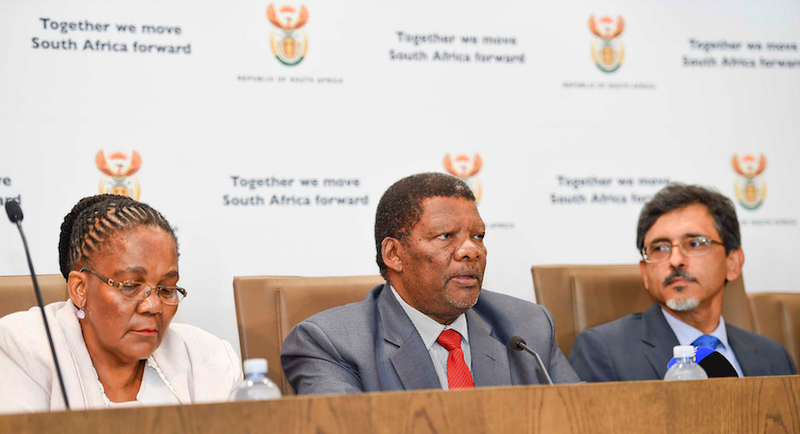 Just eight months after the meeting‚ Bekendvlei Farm was bought for R97-million and handed over to Present – who had been working at Luthuli House for more than 10 years – and his partner‚ businessman Moses Boshomane‚ to manage. Attempted murder in July 2013. Graduates of the Academy can point to the benefits of their training, the significant potential of their successes being preserved for posterity and a real chance of jumping the queue for a customised Scipio Griffin. Aspirant snouters, hoping to be admitted to the academy will be encouraged by the brazen looting at the VBS Mutual Bank, proof positive that the ANC’s ‘Spirit of Snouting/Pride in Peculation’ initiative is bearing lush and low-hanging fruit. Loot-freely House is confident, though, that the ANC has the necessary strength in depth and this is confirmed by the appointment to higher office of Qedani Mahlangu and Brian Hlongwa and Mike Mabuyakhulu. Having already provided proof of their undoubted potential, it can surely be only a matter of time before they represent ‘our people’ in parliament and take our acclaimed and distinguished vanguard movement into an ever-brighter future. These are, however, troubling times for the stalwarts among us who stoutly defend the glorious National Democratic Revolution. Take the redoubtable Edna Molewa for instance. First she took on Raymond Suttner and now she is threatening to take parliament to court over its move to hold the board members of one of her entities personally liable for financial decisions deemed to constitute fruitless and irregular expenditure. The idea of holding anyone to account is counter-revolutionary and threatens the very foundations of our illustrious movement – next thing and before you know it, they will be cashiering those who cashed in at Eskom and racked up almost R20 billion in irregular expenditure. What is the world coming to if a dutiful parent like Matshela Koko or worthy servants of the movement like Brian (Sam Browne) Molefe and Anoj (Sticky Fingers) Singh and Ben (Mining Scam) Ngubane cannot sleep peacefully at night? And where, in the name of all that is good and gracious, will this all end, I ask? 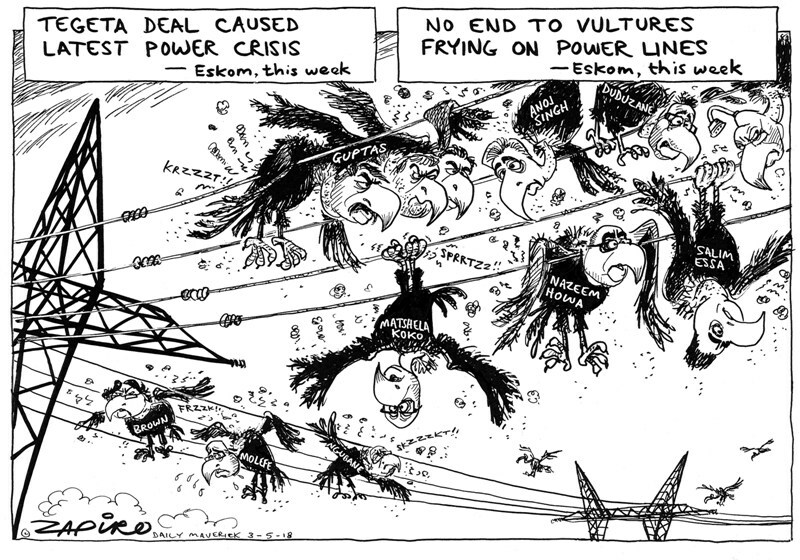 Will they revisit the 5000% profit that Chancellor House made on the Hitachi tender organised by Comrade Valli (Squeaky Clean) Moosa which set the benighted and beleaguered Medupi project back by months and many millions? Will they revisit the Land Bank scam which saw Helena Dolny persecuted until she left and, thereafter, the first looting tranche of hundreds of millions of rands going to Pamodzi Investment Holdings which had Manne Dipico and Kgalema Motlanthe among its shareholders? Will they revisit the Big Bay 1 and 2 scandal which saw Tokyo Sexwale getting the tender with a bid that was R37 million less than the highest offer after the then mayor, the suitably-rewarded Nomaindia Mfeketo, justified this ‘discount’ by saying that they were no longer prepared to ‘accept crumbs from the white man’s table’? Will they start intruding in the private lives of brave heroines of the movement like Matilda Gaboo and Lorraine Masipa? 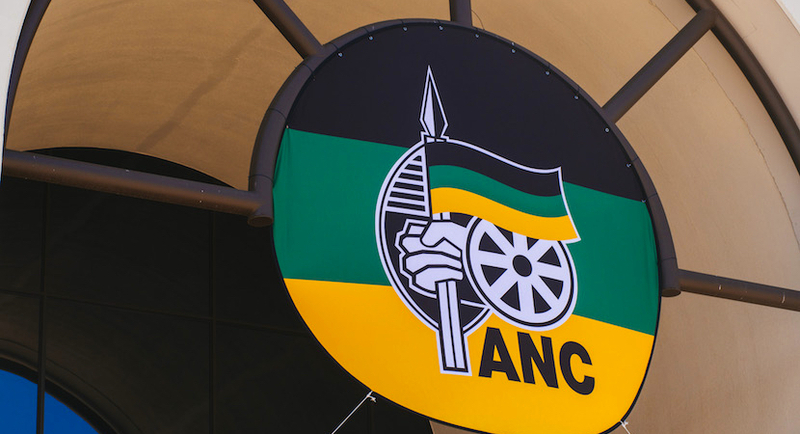 One hopes not – the Seriti Commission, did, after all, prove conclusively that corruption is completely alien to the African National Congress ethos. Thirsting for more knowledge I decided to risk the labyrinthine process of contacting my Browse Moles, my fossorial contacts of satirical mien who live in the Luthuli House catacombs and who fear exposure because that would find them floating lifeless and face-down under a lotus leaf in a leafy suburb swimming pool not too-distant from the Saxonwold Shebeen. Somewhat downcast the BM acknowledged that morale at Luthuli House had taken a hit. The Browse Mole went on to say that Present was showing real snouting promise when his burgeoning career was so tragically cut short, adding that he was a shining example of the ANC’s ‘due diligence process’. I was though, something of an emissary on behalf of Cape Town’s small media community and I had another question to ask – this time on behalf on the Mother City Hack Pack who are bewildered, bereft and seeking answers. It concerned MOAB – The Mother of All Books. 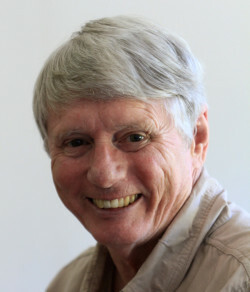 When Terry Bell let one of the world’s greatest philanthropists and shining business icons know that his claim – among others – that he had treated Nelson Mandela ‘on and off the island’ did not stand up to even the most cursory analytical scrutiny, the great man – whose photograph appears almost daily in his own newspapers – was not fazed. “To let you into a little secret, I have been busy with my autobiography over the last few months and you will appreciate that I do not want to spill all the beans and keep some facts out of the public domain to ensure the success of my autobiography. That was two years ago and nothing had been heard until … until … the rumour spread like wildfire that MOAB, the Mother of All Books, was going to be launched amidst much joyful fanfare at Davos. Davos, of course, is of course where the great and the good – everyone from Carlos Slim to Jeff Bizos – gather on their annual pilgrimage to hear Dr Survé lay the good word upon the adoring multitude and to watch him react with his usual compassion to the hordes of beseeching supplicants. Davos, however, came and went and there was only a dreadful void of dispiriting silence. “Tell me about MOAB”, I begged. “What about the film rights?” I wanted to know. “I’m talking Netflix versus Amazon, dude, and I’m talking billions. This is going to take off like a Sagarmatha Intergalactic Highway African Unicorn turbocharged with LeisureNet nitromethane!” the Browse Mole said. I am sworn to secrecy but I can reveal that not only does this chapter testify to the extraordinary bravery and tenacity which the Great Man – he told an SABC interviewer at 4 minutes 27 seconds of this YouTube clip: that his adoring staff justifiably call him the ‘Fearless Leader’ and the ‘Teflon Doctor’ – displayed even as a teenager. It also solves a mystery which bewildered marine scientists in the early 1980s – the ‘Brown Tide”. I can also tell you – because it is common knowledge by now – that the moment MOAB is published, Dr Iqbal Survé will be inducted,into the Chuck Norris Hall of Fame. As the Great Man triumphantly tells it, he was an impecunious youth who, to survive, used to sell the Cape Times and the Cape Argus at traffic lights – and now, to the consternation of his enemies, he owns both newspapers! At this time, a Good Samaritan gave him a bike – and thus glorious history was made which will be forever celebrated in the annals of the Beloved Country. Furthermore, so I am informed, his scintillating career is shortly to be recognised with a suitable award, the Order of the Baobab with Brass Knuckledusters. This bike enabled our intrepid schoolboy hero to treat Nelson Mandela ‘on the island’. Whenever the call came, he always answered and he would hurriedly assemble his emergency first aid pack. He would park his bike against the Mouille Point lighthouse and attach a wooden clothes peg to his nose to help him get past the Green Point sewage outfall. Then, with his medical supplies strapped to his chest inside a black bin bag, he would set off for Robben Island – swimming backstroke, obviously. It was on the return journey that, unencumbered and swimming crawl, he set times which would have blown the mind of Michael Phelps – had these mercy missions not taken place under conditions of extreme secrecy. It was at these times that marine scientists were baffled by the sudden dearth of Great Whites in False Bay accompanied by conditions of extreme turbidity – what they, in their mystification at the time, called the ‘Brown Tide’. MOAB reveals that these sensitive creatures, always alert to extreme danger, would, at the time of these mercy swims and at the very minute that our intrepid schoolboy entered the water, head south leaving behind, in their fear, a dense cloud of faecal matter. I struggled to get my head around this extraordinary information but I had more questions to ask. “You’re pushing your luck – but you could be onto something there”, the Browse Mole growled.